Given by Mr. Reginald H. Pearson, F.S.A. Rubbing of a brass depicting portions of draperies and a shield. Obverse, the lower part of the effigy of Nicholas Asheton. The rubbings E.323 to E.327-1950 record the fragments of re-used brasses from the late 15th to early 16th century which were broken up and re-assembled to form the base for a memorial brass for Nicholas Asheton dated 1582. 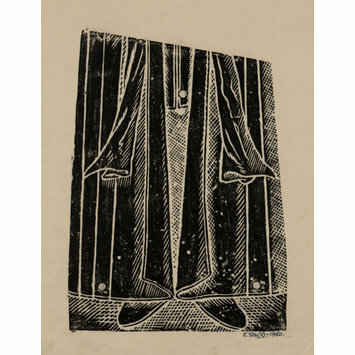 Reginald H. Pearson's rubbings include the large Asheton memorial brass, rubbed in parts for the purpose of showing which older fragments are on the reverse of each section. The fragments shown here come from a large Flemish brass on 1474 of which other fragments exist at Walkern Church in Hertfordshire, Marsworth Church in Buckinghamshire, and St Margaret's Church in Lee, Kent. The date of 1474 comes from the Walkern fragment. 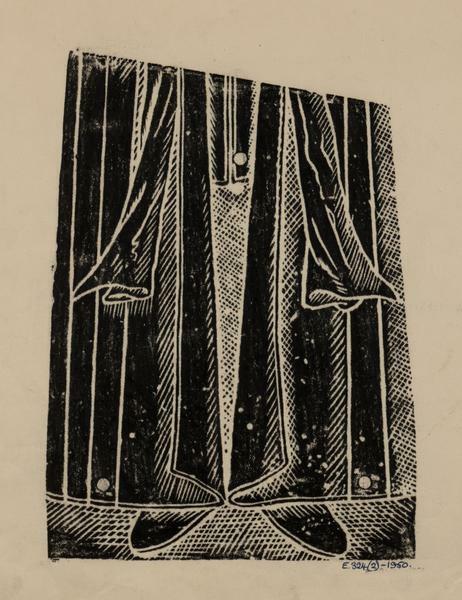 Rubbing of a fragment of a brass showing the lower portion of an effigy. Obverse of a palimpsest, late 15th century, Whichford Church, Warwickshire. 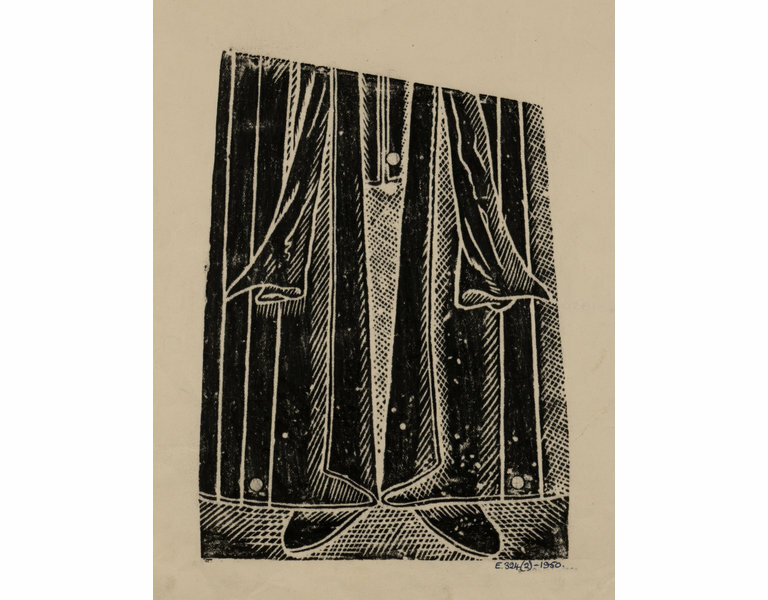 Reverend D.C. Rutter, 'A find of palimpsests at Whichford, Warwickshire'; Transactions of the Monumental Brass Society, Vol IX, Part III, July 1954. Stephenson, Mill. A List of Monumental Brasses in the British Isles. London, 1926 and Appendix, 1938.